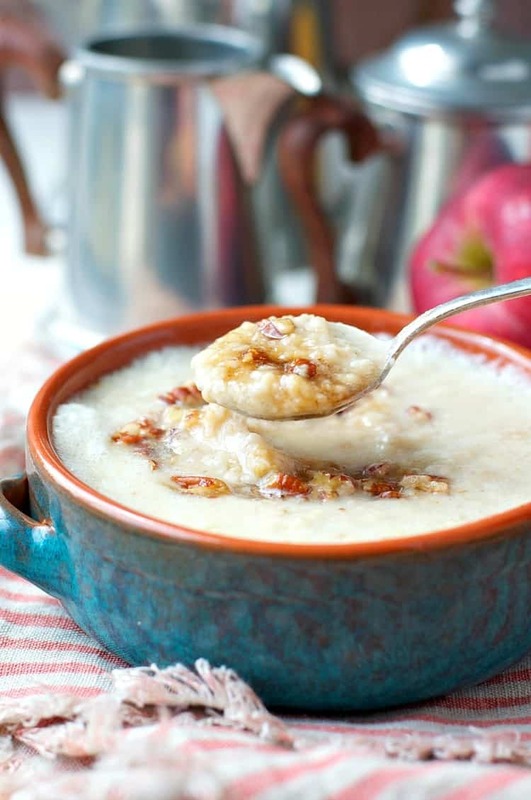 A warming and healthy bowl of oatmeal that's the perfect way to start the day! You only need two minutes and two ingredients to prepare a warm bowl of healthy Protein Oatmeal! 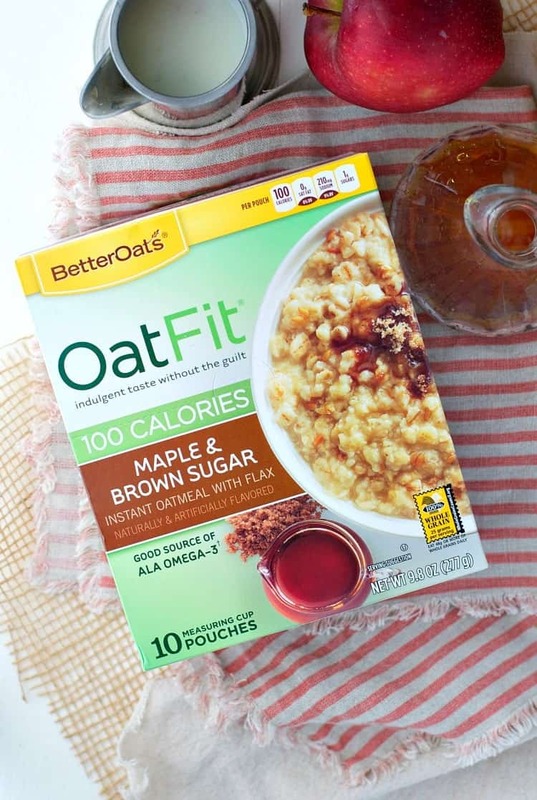 With 11 grams of protein and only 135 calories, the Maple & Brown Sugar Oats are a satisfying and easy breakfast that will keep you full all morning long! The mornings are cooler, the air is crisp, and you climb out of bed craving that hot cup of coffee and a cozy breakfast, right? But most days there’s just not enough time to sit down and eat something truly satisfying…before racing out the door to work, the bus stop, or an early appointment. But you CAN have it all! With a couple of key ingredients and only two minutes, you can throw together a hearty and delicious breakfast that’s also friendly on the waistline! You can’t beat the convenience (or flavor) of instant oatmeal packets, but sometimes the nutritional stats aren’t exactly ideal. That’s when Better Oats Oat Fit® Maple & Brown Sugar Instant Oatmeal with Flax comes to the rescue! If you want to feel full without filling up on calories, Oat Fit is the perfect solution. And do you know the trick about adding egg whites to your oatmeal? 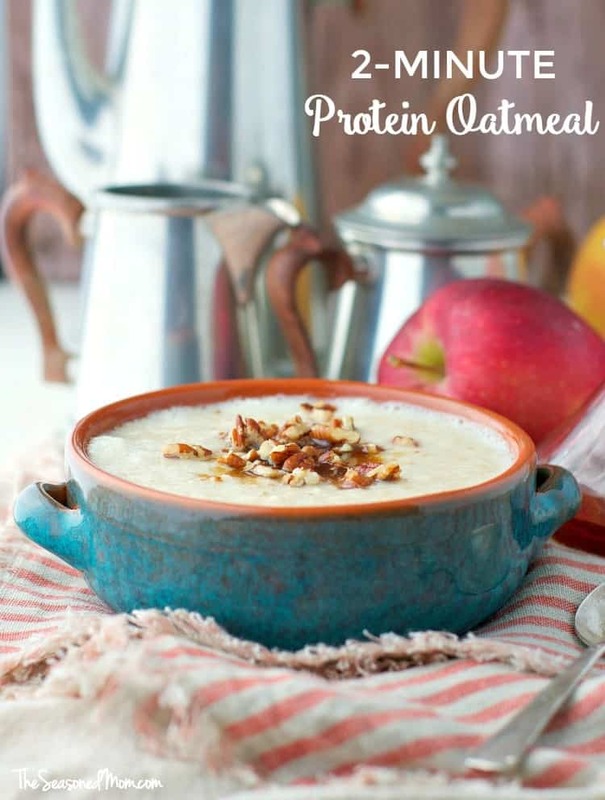 The egg whites give the oatmeal a protein boost and they add filling volume without any weird flavor or texture! By stirring the oatmeal every 20 seconds while it cooks in the microwave, the egg whites just blend right into the bowl for a fluffy and hearty morning meal. The whole grain oats and the fiber in the oatmeal packets can also help you feel full, and when you top your bowl with chopped pecans or a scoop of nut butter you get healthy fats for added satiety. It’s the ultimate cool weather comfort food that will leave you feeling powerful and energized — but not weighed down! The Oat Fit packets are incredibly convenient because they’re pre-measured for portion control (and for portability), and you can even measure the water inside the packet. No separate measuring cups or dirty dishes necessary! 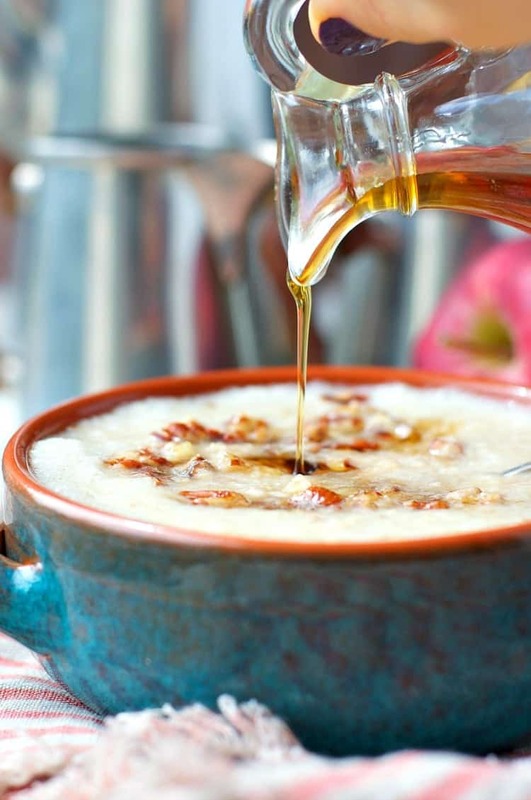 I think the BEST part, though, is the sweet, rich flavors of maple syrup and brown sugar in every bowl. You feel like you’re indulging in a decadent treat, but there are only 100 calories in each packet and no added sugar. Oat Fit is naturally low in fat, a good source of ALA Omega-3, and a good source of fiber. Trust me, it’s NOT too good to be true! This particular protein oatmeal is so low in calories that you can feel free to either DOUBLE the recipe and prepare two packets at once or load up your bowl with all of your favorite toppings. 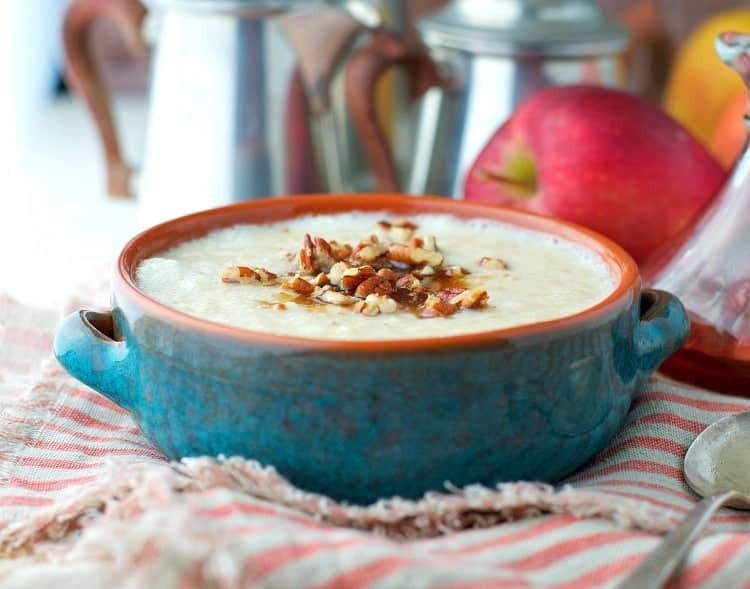 Toasted pecans, slivered almonds, chopped apples or pears, plump raisins, and a drizzle of maple syrup will all add amazing texture and flavor to the bowl. Even when there’s a chill in the air, this Protein Oatmeal is a two-minute breakfast that you’ll be jumping out of bed to devour! Warm, sweet, thick, and satisfying — it’s a nutritional powerhouse to fuel your busy days…and keep your mouth happy! 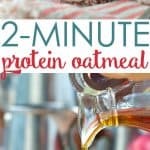 If you’ve tried this 2-Minute Protein Oatmeal or any other recipe on The Seasoned Mom then don’t forget to rate the recipe and leave me a comment below! You can also follow me on Facebook, Twitter, Instagram and Pinterest to see what I’m getting up to. Empty contents of pouch into a microwave safe bowl. Pour cold water into a measuring cup pouch until it reaches the fill line. That’s 2/3 of a cup. Stir water into bowl. Add egg whites to the bowl and use a whisk or fork to combine them with the oatmeal and water. Microwave on high for about 90 seconds (or up to 2 minutes), stirring every 20 seconds so that the egg whites are completely incorporated into the oats. This will give the oatmeal volume and you will not even be able to detect any of the egg. When the oatmeal reaches desired consistency, carefully remove hot bowl from the microwave. Stir again to blend. Let cool to taste. Garnish with optional toppings and enjoy! This is such a low calorie breakfast on its own, that I often double the recipe and use 2 packets of oatmeal and 4 egg whites for a more filling meal. Interested in trying Oat Fit too? You can save $0.50 on any ONE (1) Better Oats Hot Cereal at Kroger with the coupon HERE (not specific to Oat Fit & offer ends 11/16)! Eat Healthy • Get Fit • Feel Great! I wish my mornings were cool! It’s been 95 here all week which is above normal for this time of year. I’m ready for cool mornings with a bowl of oatmeal. Now this sounds like my kind of breakfast! 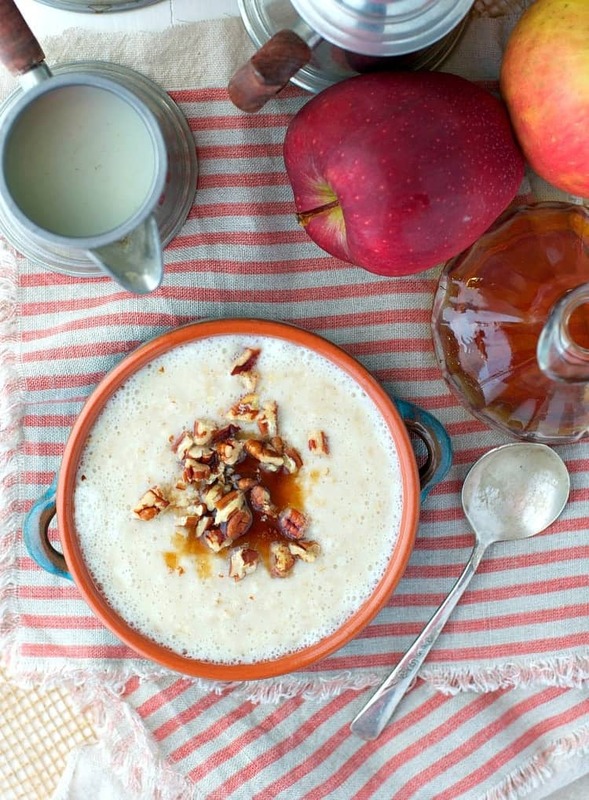 Oatmeal is the perfect dish for cool fall mornings and I love how easy this is to make! Sounds SO good, Blair! I love adding egg whites to my oats as I feel like they make it so much fluffier – but I haven’t done it in such a long time! Yes! Fluffier is the exact word for it! I love oatmeal in during the colder months I can’t believe how quick this is to make, can’t wait to try it! You’ll love this easy idea! Such great texture and flavor!